This week is Catholic Schools Week. 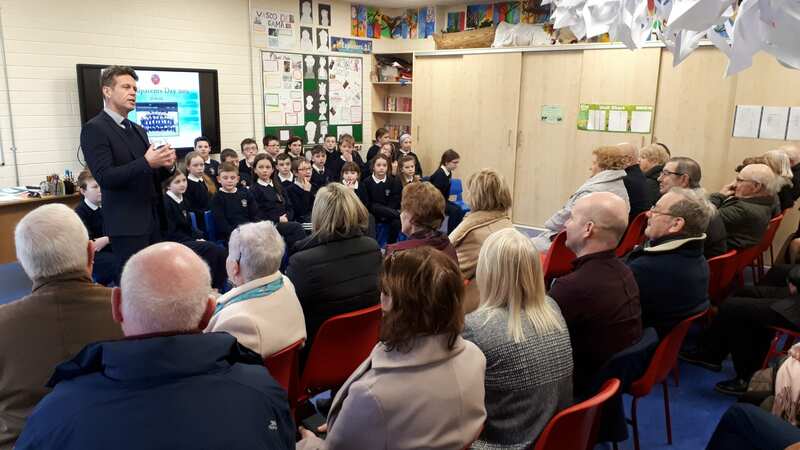 All of us in St Mary’s NS celebrate this special week in various ways, but one of our most cherished traditions is the hosting of Grandparents Day by one of the classes. This year, Mr. McClean’s 5th Class proudly welcomed their grandparents and great-grandparents to their new classroom. 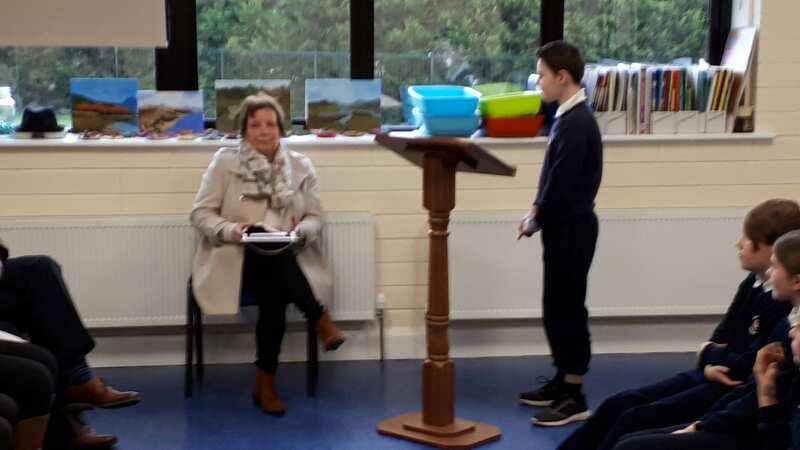 The grandparents were treated to some songs, prayers, poetry, a question and answer session about school life in their day and two special videos detailing the children’s thoughts and memories of their grandparents. 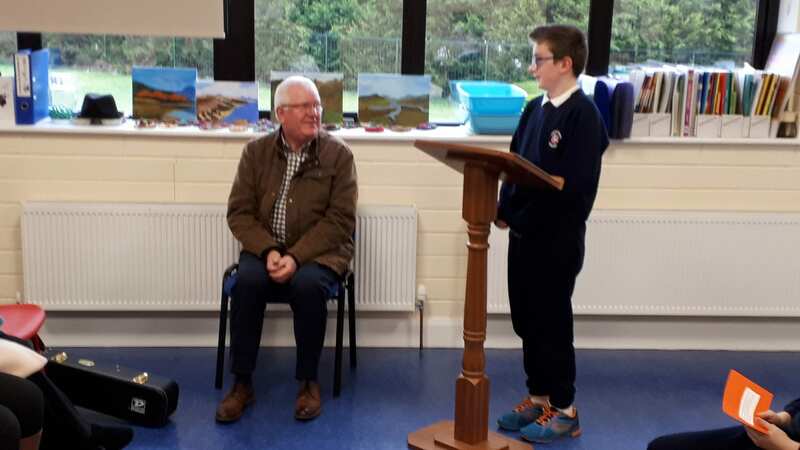 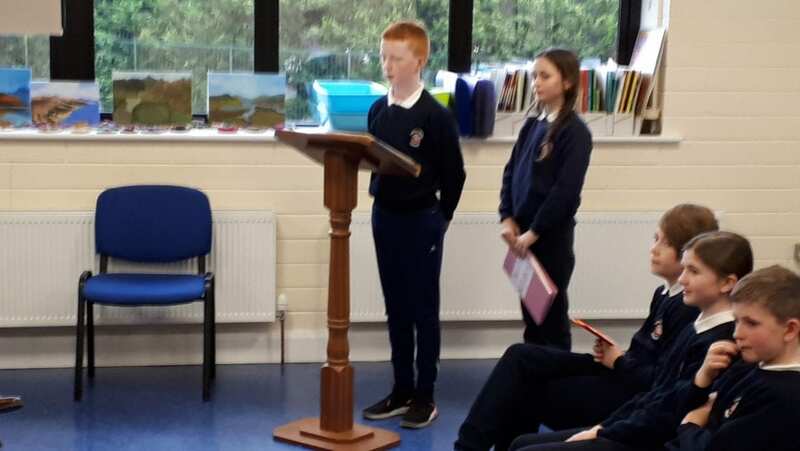 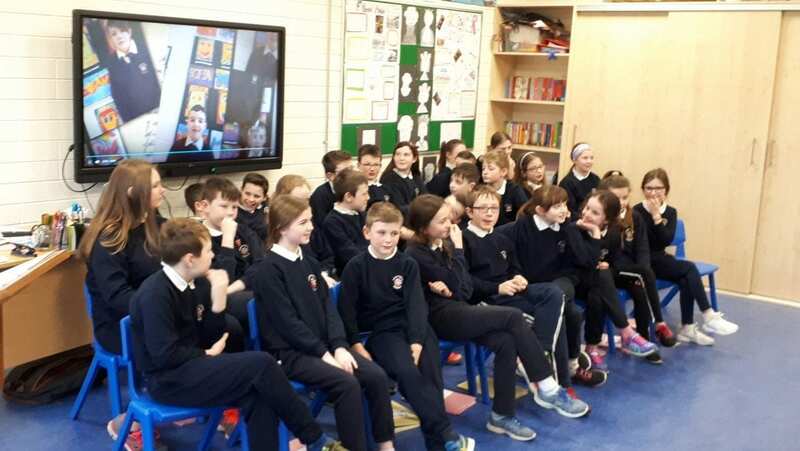 In return three grandparents – Oliver Callan, Pauline Byrne and Damien Callan – afforded their grandchildren the privilege of interviewing them for the captive audience in attendance. 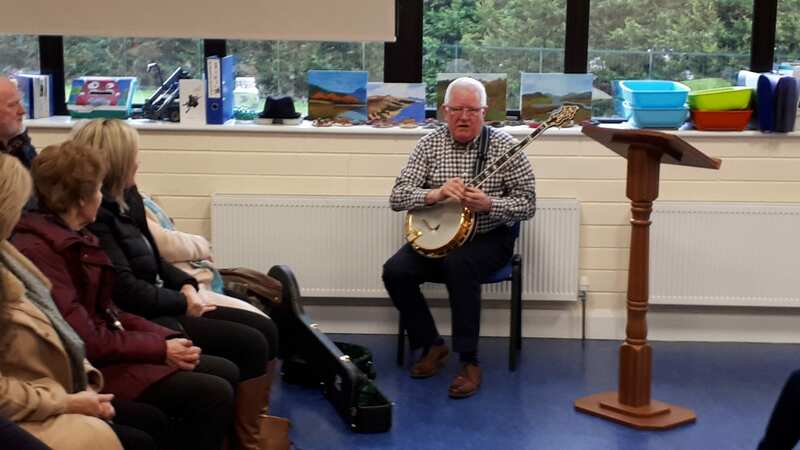 We heard some wonderful sporting memories from Pauline and Damien and Oliver even treated us to a marvellous rendition of “The Fields of Athenry” on his banjo. 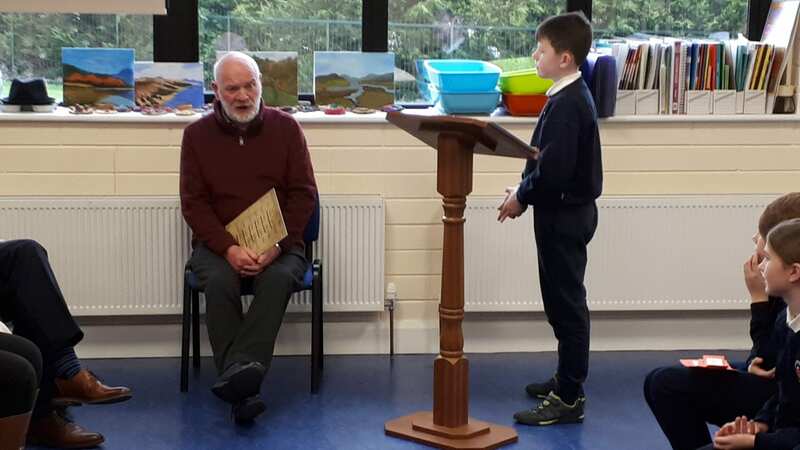 The occasion was concluded with a presentation of project books to the grandparents in attendance followed by a refreshing cup of tea and coffee and a chance for old friends (and new) to catch up. 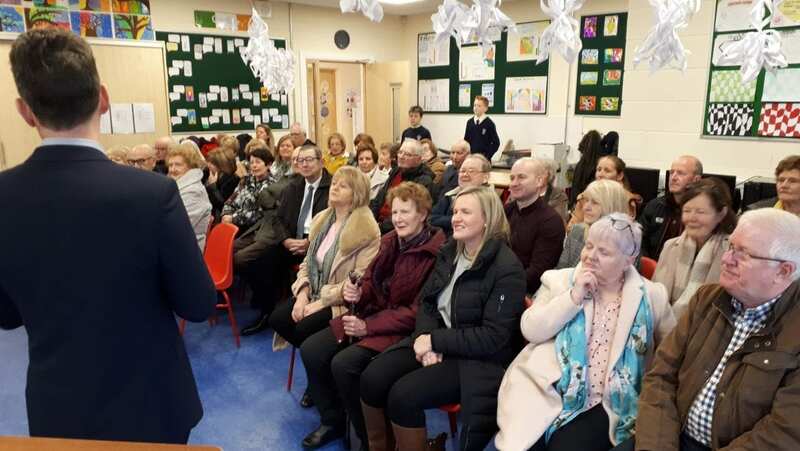 We’d like to sincerely thank the parents, grandparents and great-grandparents that came in today to make the day a truly memorable occasion for children and teachers alike.